The history says that Dragonauta appeared in 1999 in Buenos Aires, Argentina. It wasn't easy at all for a band that lives in a country with no tradition in Doom Metal. 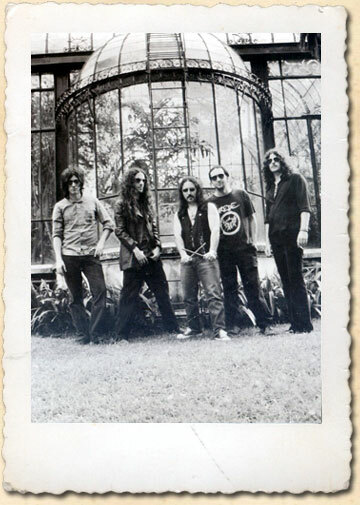 Federico Wolman (Voice), Daniel Libedinsky (guitar), Martin Mendez (bass) and Ariel Solito (batería) started the band, which at the time was very influenced by the Sabbath sound and some 70s argentinean bands. The result of this was a Demo tape that after a while was release in a Split CD with argentinean stoner band Natas. Early on Dragonauta may have had strong connections with the style of Black Sabbath but this isn't apparent on their released albums. Where Sabbath had a strong foundation built on blues, Dragonauta pulls some style and atmosphere from the less bluesy parts of Cathedral and other contemporary Doom bands while maintaining an original sound.